Here at Teignmouth Community School Mill Lane, we operate a Foundation Stage Unit for our Nursery and Reception children. We believe a Foundation Stage approach improves the quality of provision for children in the Early Years Foundation Stage, because children experience continuity of educational experience throughout their time with us in Foundation; from age two to the end of their Reception year. This approach enables well-being and early learning to be nurtured smoothly without the disruption of transitions. Our children are taught by specialist adults who are trained to teach in early years and experienced practitioners. We believe in a child-centred approach, following the children’s interests, with our Reception children voting for each half termly topic area. The children are extremely fortunate to participate in daily Outdoor Learning sessions. 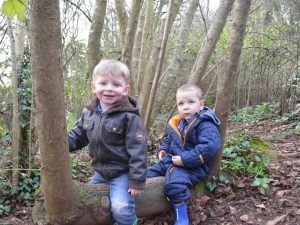 These sessions take place in our Outdoor Learning area, with a purpose built classroom and a fantastic woodland area. The children engage in a range of child-led and adult-led activities daily, fostering the skills of independence, curiosity, exploration and resilience. The children in our Early Years provision are able to access specialist facilities and educators whilst still promoting a sense of belonging with the rest of the school.